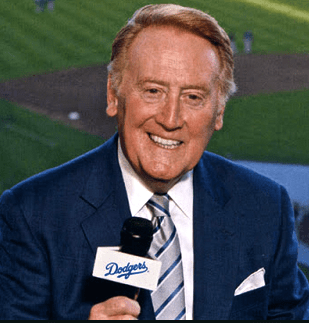 Vin Scully is a baseball institution. He’s been announcing Dodger games for 64 years. That’s not a typo. Vin Scully IS baseball. He’s as wholesomely American as apple pie, and he’s had the same clean-cut professional appearance since he started announcing Brooklyn Dodger games during the Truman Administration. That’s why, while listening to tonight’s game (Sept. 9, 2013 against the Diamondbacks in Arizona) I am both shocked and delighted to hear Scully continually referring to the Dodgers players going to Phoenix to “get well” after a rough stretch in Cincinnati. Get well? That’s junkie talk! In the next inning, Scully name-dropped a James Taylor lyric to describe an Arizona Diamondback player as a “churning urn of burning funk.” James Taylor is, among other things, a former junkie. There’s a picture that’s etched into my mind, and it happens to be of Mr. and Mrs. Vin Scully circa 1970. 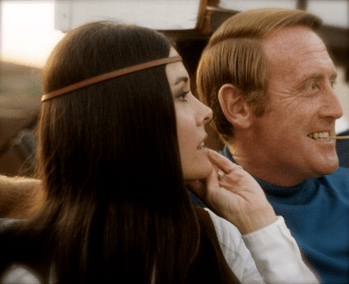 In it, she looks like a brunette version of Michelle Phillips from the Mamas and Papas, and he looks like the alpha male version of Vin Scully enjoying his day off. That was Vin’s first wife, Joan, who died in her sleep at the age of 35 from an apparent accidental overdose of cold medication, leaving Vin a widower in 1973 with three children to raise. The human side of Vin Scully. Reason #1063 why I still love baseball. ← Goodbye David Frost. Long Live Richard Nixon. Interesting photo. I didn’t know he had the Alpha Male touch. That is a great anecdote about Brown and Scully. I may have to borrow it sometime (while it still applies). I read that Scully made his bones by announcing a college football game in freezing weather and maintaining his composure despite being woefully underdressed. An interesting fact: Scully is in his 66th season with MLB, dating back to 1950. That same year, the legendary Connie Mack retired from managing the team he owned, the Philadelphia A’s, ending a career in baseball that also lasted 66 years, going back to his time as a player in the 1880s and 90s. 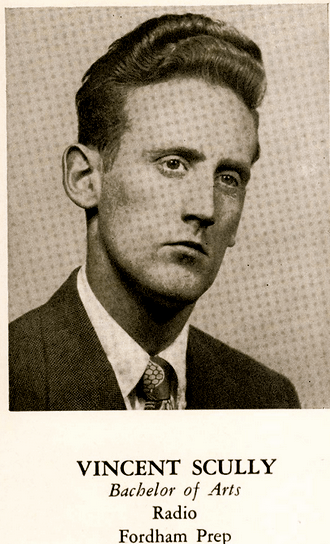 Somehow, knowing that Scully’s longevity equals a man who was basically there at the beginning of the game, who was already playing professional baseball the year Ty Cobb was born (before automobiles and streetcars) and was still managing when Jackie Robinson and Mickey Mantle (who actually debuted in 1951) arrived on the scene, really puts Scully’s 66 years in their proper perspective.